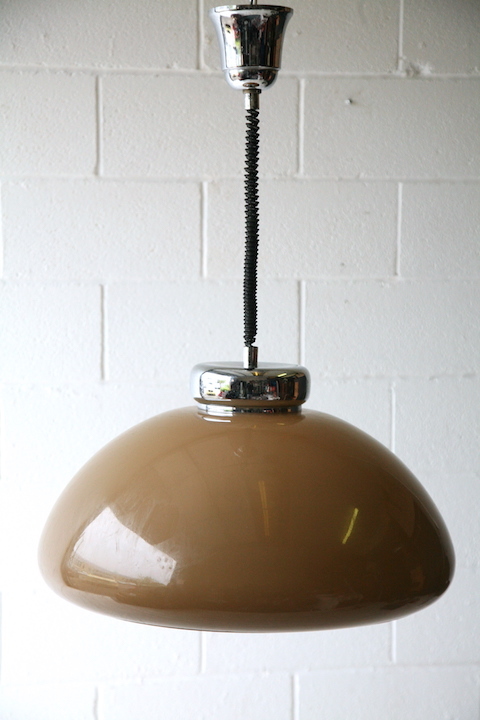 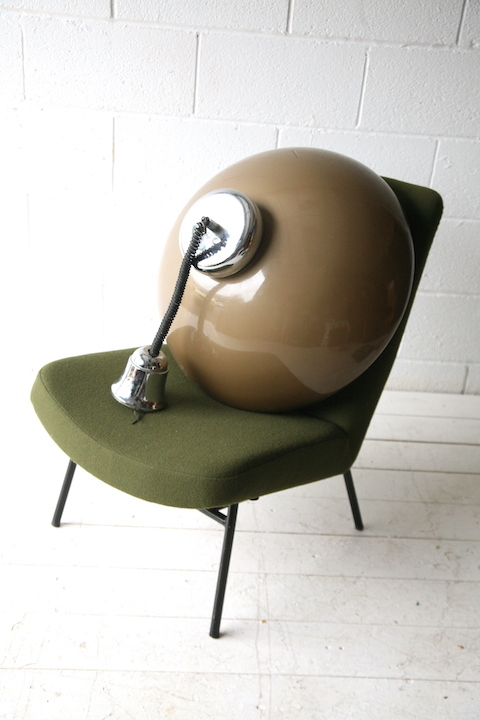 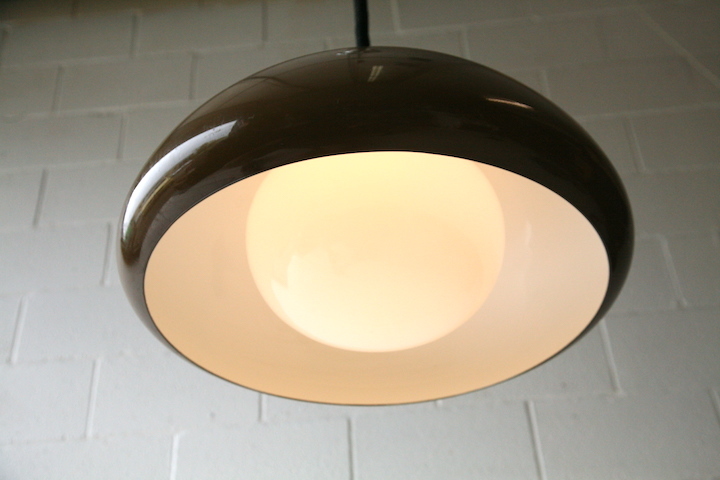 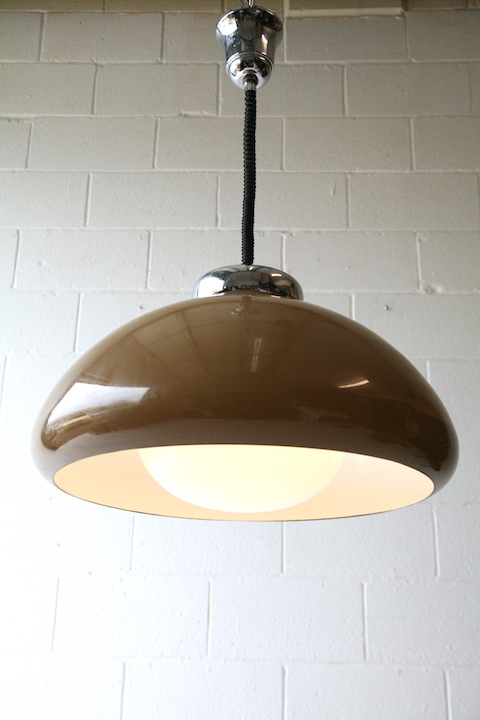 A huge 1970s rise and fall ceiling light. 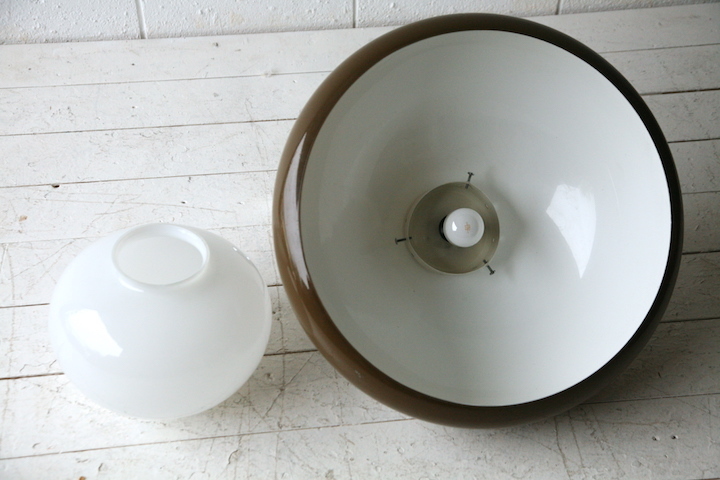 With large brown plastic shade and glass diffuser. 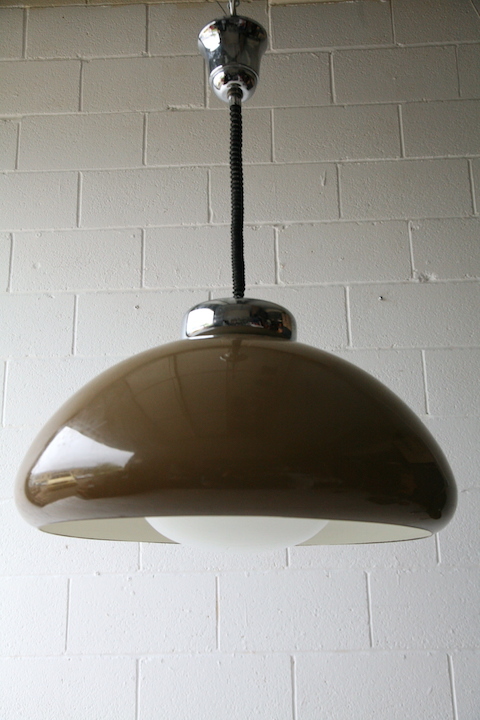 Fully working and in good vintage condition with some light scratches and marks.